Liverpool are expected to be boosted by the return of Joe Gomez next week amid the club’s recent barrage of defensive injuries. The centre-back has been out of action since fracturing his leg under a challenge from Ben Mee during December’s 3-1 win over Burnley. He was later joined by Joel Matip on the sidelines when the defender fractured his collarbone late on in Liverpool’s decisive 1-0 victory against Napoli at Anfield in the Champions League. A minor injury to Trent Alexander-Arnold soon added to this, paving the way for Nathaniel Clyne to make his first Premier League start of the season against Manchester United whilst also seeing James Milner deployed as a make-shift right-back on occasion. Gomez has now been tipped to return to training next week by the Mirror’s David Maddock. It would mark a timely return for the Englishman on the back of the news that Alexander-Arnold faces up to a month out with a knee injury sustained in the warm-up prior to Saturday’s 1-0 win over Brighton. The 20-year-old still managed 90 minutes at Falmer Stadium, but looked uncomfortable early on and was in regular contact with the Liverpool bench throughout. 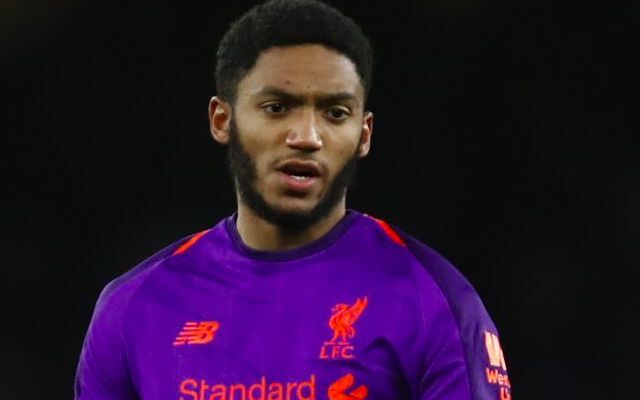 Despite cementing a starting spot at centre-back alongside Virgil van Dijk, Gomez has also been trusted as a reliable full-back at times this season. Milner could now be trusted to slot in on the right side of defence again until Gomez is available for selection, starting with Saturday’s league game at home to Crystal Palace. Matip’s recovery could meanwhile see Fabinho step back into his midfield role having impressed at centre-back against Brighton.